Masters in Electrical Engineering degree from National University of Sciences and Technology(NUST). Haris Mehmood received his B.E. Electronics Engineering and MS Electrical Engineering degree, both from National University of Sciences and Technology (NUST), Islamabad, Pakistan, in 2009 and 2012, respectively. 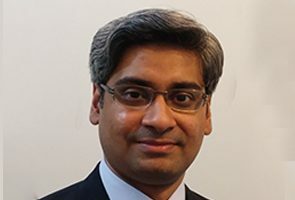 His research interests lie within domains of Semiconductor devices, Renewable Energy Technology, and Nanotechnology with several international peer-reviewed journals and conferences proceedings at his credit. He was awarded scholarship under prestigious TÜBİTAK “Research Fellowship Programme for International Researchers” by Turkish Government whereby he has worked as a Research Fellow at The Center of Solar Energy Research and Applications (GÜNAM), Middle East Technical University (METU), Ankara, Turkey. During his stay at METU Turkey, Haris has attained both numerical and experimental skills pertaining to the development of silicon solar cell. As a part of METU ambitious plan to design solar cells with higher efficiencies (>23%), he was able to achieve the required target with a novel silicon-based device using an industrial physical device simulator (Silvaco TCAD) and his work was published in a good impact factor journal. It was the first time in the history of GÜNAM METU Turkey that a design-based solar cell paper was recognized in a reputed journal. Moreover, he has also fabricated and characterized the novel thin layer in nanometer (nm) regime for innovative carrier-selective contact for solar cells that opened up a new horizon for technological development of highly efficient devices. Concomitantly, he has attended several conferences abroad and gave presentations about his research work. He had served as a Lecturer at The University of Faisalabad. Haris is also a reviewer of Springer Silicon journal. Haris Mehmood, Hisham Nasser, Engin Özkol, Tauseef Tauqeer, Shahzad Hussain, Raşit Turan, “Simulation of an efficient Silicon Heterostructure Solar cell concept featuring Molybdenum Oxide Carrier-selective contact,” International Journal of Energy Research, Vol. 42, No. 4, pp. 1563-1579, DOI: 10.1002/er.3947, 2018. Haris Mehmood, Tauseef Tauqeer, Shahzad Hussain, “Recent Progress in Silicon-based Solid state Solar Cells,” International Journal of Electronics, 105, No. 9, pp. 1568-1582, DOI: 10.1080/00207217.2018.1477191, 2018. Shahzad Hussain, Haris Mehmood, Muhammad Khizar, “Design and analysis of an ultra-thin crystalline silicon heterostructure solar cell featuring SiGe absorber layer,” IET Circuits Devices and Systems, Vol. 12, 4, pp. 309-314, DOI: 10.1049/iet-cds.2017.0132, 2018. Wajid Zaman, Hamza Ahmad, Haris Mehmood, “A Miniaturized Meandered Printed Monopole Antenna for Triband Applications,” Microwave and Optical Technology Letters, Vol. 60, pp. 1265-1271, DOI: 1002/mop.31149, 2018. Haris Mehmood, Tauseef Tauqeer, “Modeling and performance analysis of amorphous silicon solar cell using wide band gap nc-Si:H window layer,” IET Circuits, Devices and Systems, Vol. 11, No. 6, pp. 666 – 675, DOI: 10.1049/iet-cds.2017.0072, 2017. Hisham Nasser, Gamze Kökbudak, Haris Mehmood, and Raşit Turan, “Dependence of n-cSi/MoOx heterojunction performance on cSi doping concentration,” Energy Procedia, Vol. 124, pp. 418–424, DOI: 10.1016/j.egypro.2017.09.267, 2017. Rabia Saroosh, Tauseef Tauqeer, Sara Afzal, Haris Mehmood, “Performance enhancement of AlGaN/InGaN MQW LED with GaN/InGaN Superlattice Structure,” IET Optoelectronics, Vol. 11, No. 4, pp. 156-162, DOI: 1049/iet-opt.2016.0141, 2017. Shahzad Hussain, Haris Mehmood, Ghulam Ali, “Nanocrystalline Silicon (nc-Si:H) and Amorphous Silicon (a-Si:H) Based Thin-Film Multijunction Solar cell,” Sains Malaysiana, Vol. 43, No. 6, pp. 895-898, 2014. Shahzad Hussain, Ghulam Ali, Haris Mehmood, Tahir Zaidi, “Theoretical studies of InGaN/GaN multiple junction solar cell with enhanced tunneling junction diode,” Advanced Materials Research, Vol. 895, pp. 535-538, 2014. Haris Mehmood, Tauseef Tauqeer, Hisham Nasser, Shahzad Hussain, Raşit Turan, “Effect of Hole-Selective Molybdenum Oxide Work Function and Silicon Wafer Resistivity on Dopant-Free Asymmetric Silicon Heterostructure Solar Cell,” Accepted in 5th IEEE International Renewable and Sustainable Energy Conference (IRSEC), Tangier, Morocco, 4-7 December 2017, pp. 1-5, ISBN: 978-1-5386-2847-8, DOI: 1109/IRSEC.2017.8477335, IEEE Indexed on 01 October 2018. Haris Mehmood, Hisham Nasser, Engin Özkol, Tauseef Tauqeer, Shahzad Hussain, Raşit Turan, “Physical Device Simulation of Partial-Dopant-Free Asymmetric Silicon Heterostructure Solar Cell (P-DASH) based on Hole-selective Molybdenum Oxide (MoOx) with Crystalline Silicon (cSi),” 4th IEEE International Conference on Engineering and Technology (ICET), Antalya, Turkey, 21-23 August 2017, pp. 1-6, ISBN: 978-1-5386-1949-0, DOI: 10.1109/ICEngTechnol.2017.8308155, IEEE Indexed: 08 March 2018. Haris Mehmood, Hisham Nasser, Tauseef Tauqeer, Raşit Turan, “Numerical Analysis of Silicon Heterojunction Solar Cell Based on Molybdenum Oxide as a Back Surface Field (BSF),” 33rd European Union Photovoltaic Solar Energy Conference and Exhibition (EU-PVSEC), Amsterdam, Holland, pp. 932-936, ISBN: 3-936338-47-7, DOI: 10.4229/EUPVSEC20172017-2CV.2.66, 25-29 September 2017. Prestigious Turkish Government TÜBİTAK Research Fellow at Middle East Technical University (METU), Ankara, Turkey. Won funding from Govt. 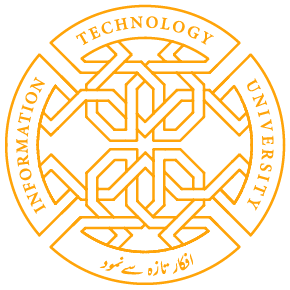 of Pakistan ICT R&D Fund 2014 for a supervised project titled "Android Based Load Control and Monitoring System" at The University of Faisalabad. Recipient of Secondary School Merit Scholarship 2003. Reviewer of Springer Silicon Journal. Dr. Raşit Turan, Middle East Technical University (METU), Ankara, Turkey. Hisham Nasser, Middle East Technical University (METU), Ankara, Turkey.